Get a quote for Asda travel insurance here or check out guide to the best travel insurance companies. As a brand, Asda needs no introduction – the national supermarket chain offers more than just groceries, with George clothing and home products popular with shoppers. 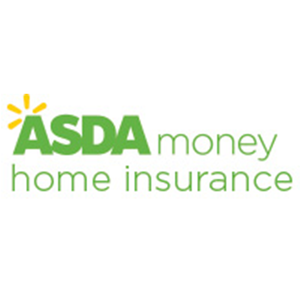 Asda also offers financial services, including credit cards, loans and insurance. Click the link to see if Asda made it onto our list of the Top 10 travel insurance providers. Asda has three levels of cover to choose from – Value, Premium and Superior. Up to £2,000,000 personal liability cover and £50,000 for legal expenses are available with all three levels of cover. Annual policies are only available to those under 76, but there is no upper age limit of single trip policies. All policyholders must be over the age of 18 (though under-18s can be covered under family policies). Specialist winter sports cover for skiing and snowboarding is also available as an add-on. Customers have access to a 24-hour helpline. Check out our guide to the best travel insurance companies to see how Asda compares to other companies. 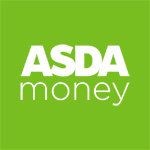 Does Asda Money cover pre-existing medical conditions? Asda does offer cover for some pre-existing conditions, subject to a medical screening. This can either be done through the online quote system, or by calling the company directly. How much does travel insurance cover from Asda cost? Get a personalised quote on the Asda travel insurance website. Up to 3 kids are covered for free with every travelling adult and discounts are available to Asda credit card holders. What do Asda Travel Insurance reviews by customer say? There are not a lot of reviews for Asda Travel Insurance online. On its own website, the company says it has a rating of 4.6 out of 5 for the quality of products and 4.6 out of 5 for value. The reviews are managed and checked for authenticity by Bazaarvoice. What do Asda Travel Insurance reviews from the experts say? Independent financial researcher Defaqto has rated Asda’s Superior Travel Insurance policy as 5 Star, the company’s Premium policy as 5 Star and its Value policy as 3 Star. A 5 Star rated policy has “a comprehensive range of features and benefits” and a 3 Star rated policy has “an average level of features and benefits”. Learn about the features of travel insurance from Virgin Money and whether it's right for you. Learn about the features of travel insurance from Atlasdirect and whether it's right for you.